Many of you know that for 5 years I ran a bed and breakfast on my Picton farm in Canada. So I have some experience. 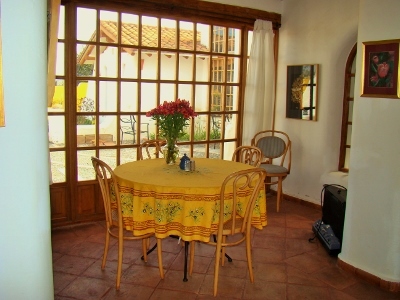 Now I am looking at offering accommodation, breakfasts, perhaps dinners (with produce from my organic garden) and also excursions from Rose Haven’s Casa Bonita. I have created 2 room options but with 3 configurations. 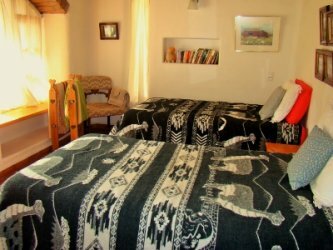 One room has twin beds and a shared bathroom. A second is a very small single bed room with its own sink and a bathroom next door. 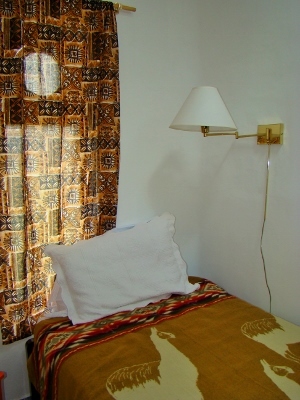 The third room is a queen bed room also with shared bath. However, the house has three bathrooms each with showers. Depending on who wishes to enjoy time here I have 2 rooms with several configurations available and so can accommodate from 3 to 4 at one time. Booking can be through the email on this website: linda@rosehavenfarm.net, minimum a day ahead of arrival. Payment is in US$ cash upon arrival. 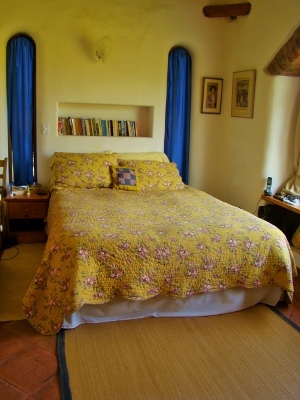 However, if you prefer you can book through Airbnb. Of course you can relax in living room or enjoy a meal in the dining alcove. Here in the daylight you can enjoy our hummingbirds. Or if you prefer read a book in the patio. Marketing is starting out through Airbnb, although I will investigate other options as time goes by. And I will create a Facebook page too. 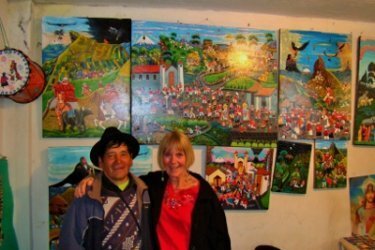 Local excursions can include drives to Tilipulo – a beautiful historic hacienda with luscious gardens, Saquisili for its major markets on Thursdays, to Tigua to meet the artists who create the Tigua paintings, to Pujili for its lookout and market, to Quilotoa Lake for the vistas or walks down to the lake, possibly visits to local rose farms, to Cotopaxi National Park or even to the hills of Maca to visit a Quichuan woman in her straw house with her cuyes. 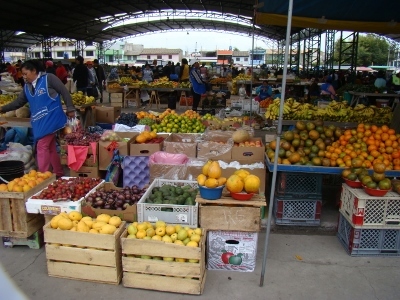 We can also arrange pick-ups from the bus terminal in Latacunga or pickups and returns to the airport in Quito. 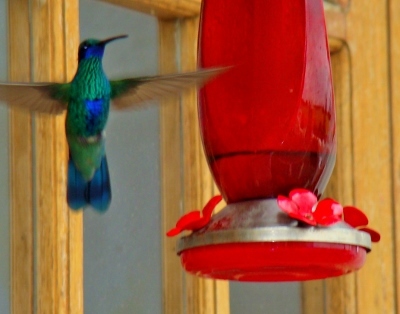 If you just want to rest and relax and check out our hummingbirds or do a few local activities, guests are welcome to enjoy the gardens, play with our onsite dogs, check out Isabel’s cuyes and, of course, visit our local village of Polao and have an almuerzo (traditional lunch). 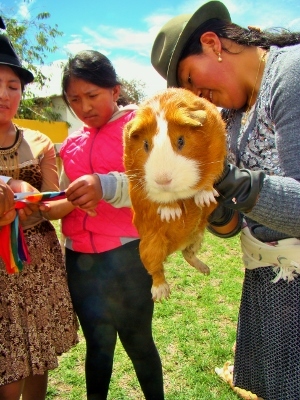 We can even offer an introductory lesson in the Quichuan language! Or if you like a little knitting or felting lesson, or even a chance to try the traditional drop spindle used here. Or you might like to time your visit to take in a local event or festival. Several major events occur very close by within 15 minutes drive. Latacunga has Mama Negra normally in the fall while Pujili is renowned for its Corpus Cristi celebrations (this year 2016 May 26 - 29). 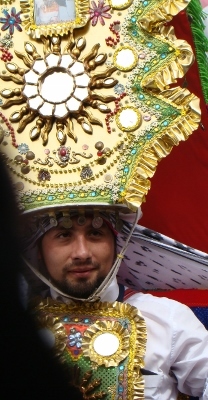 Poalo, our immediate community has Senor Maca in September and smaller settlements such as Luz de America just up the hills also have special events. 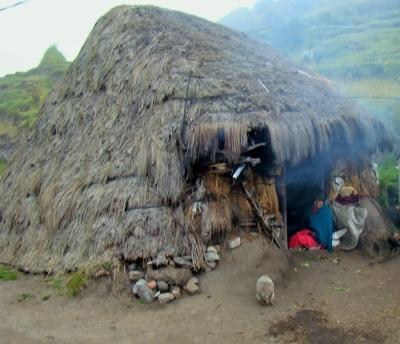 Please see Excurisons for ideas on what do when in Cotopaxi and how we can help you.